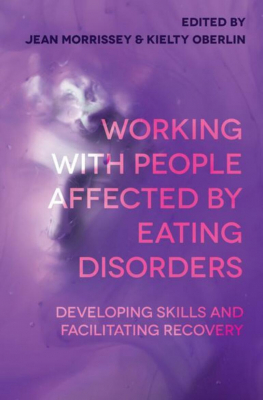 Working With People Affected By Eating Disorders : Developing Skills And Facilitating Recovery - ubiq bookshop: the best place to buy books! This book introduces students and professionals, family and friends of people with eating disorders to the key concepts and skills that underpin a holistic and recovery orientated approach to the care of eating disorders. It provides an overview of the main professional practice and ethical issues, which workers are likely to be confronted with in their area of work and family members are likely to face when trying to support loved ones. Each chapter is written by an expert and provides a practical guide for those working and/or living with people affected by eating disorders in different settings. Topics are illustrated through the use of clinical cases and further underpinned by current literature and research relevant to topic area.